I have the 4u JS10 and it's insane to play with. It has a stiff shaft that recovers faster than anything else I've tried. It's light in hand with an even balance that seems to gain head weight as you swing it. 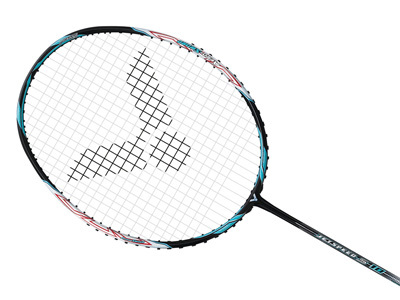 It's fast and manoeuvrable at the net but packs a punch similar to my Thruster K9000 overhead. It's in defence that the JS10 is happiest, I don't think I've been beaten by a smash since I dialled my timing in. Frame stability is on par with the Meteor I used so you always know what the head is doing with great feedback.